New York Giants – Who Created This Mess Anyway? Home New York Giants New York Giants – Who Created This Mess Anyway? There are three primary people responsible for the New York Giants exceeding .500 in only two of the last six seasons since hoisting their last Super Bowl trophy. For the haters out there hoping to find future Hall of Famer Eli Manning on the list – not a chance. I consider him blameless. All he did was accept a promotion he never earned. He wasn’t ready. He was no Tom Coughlin. McAdoo can be blamed for losing the team once a little adversity set in. Blamed for not taking charge of the #takeaknee situation, which is not the Giants way in the land of blue and white and worst of all for jumping the shark and ending Eli Manning’s consecutive game start streak. What General Manager School did this guy attend? Who told Jerry Reese that you could leave entire units of the defense unmanned? One year it was no defensive backs ‘AND’ no linebackers. Every year there is a dearth of quality linebackers. What general manager school teaches “if you have a failed offensive line unit that is near the bottom of the heap in rushing offense” and gives Eli Manning little time to pass, that the best course of action is to stand pat and let horrible gel another year? Dave Gettleman let the world know his thinking on the Giants starting O-line mighty quick by making sure there would be no more insane experiments in futility. Nick Solder breaking the bank is exhibit A. Team owner John Mara once said at an end of season presser that he too was accountable. I have not seen him hold himself accountable, so Empire Sports Media will. He singularly made the decision to fire Hall of Fame Head Coach Tom Coughlin. What big blue fan isn’t bursting with #giantspride for his success in Jacksonville? John Mara’s decision to back a dubious General Manager, who saved own his skin by throwing Coughlin under the bus, was ridiculous. John Mara decided an unproven head coach like McAdoo would be better than Coughlin? John Mara also supported the benching of Eli Manning and the ending of the consecutive games started streak, not to assess Davis Webb, but rather to play Geno Smith? Most of all, it is shocking that in week 3, John Mara would stand by while three of his starting defenders took a knee. That does not fly in New York. Mara’s silence led to a large of contingent of Giants fans boycotting the league and by extension the Giants. Well Giants fans, McAdoo and Reese are gone. 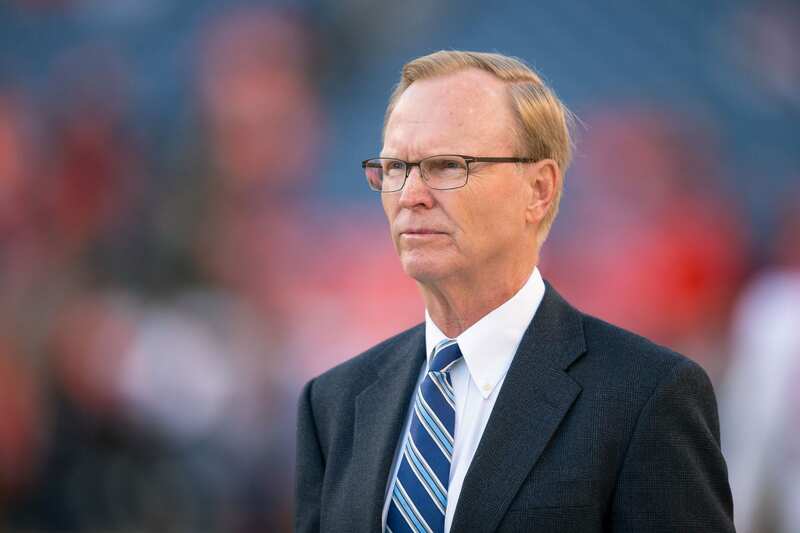 Since John Mara isn’t going anywhere, the best we can hope for is that his “I’m accountable” penance is having hired a new General Manager and that he will stay out of the Draft/Roster decisions and let Gettleman do his job without owner interference. Unlikely.